Welcome to day 3 of the week of Sweet Treats! 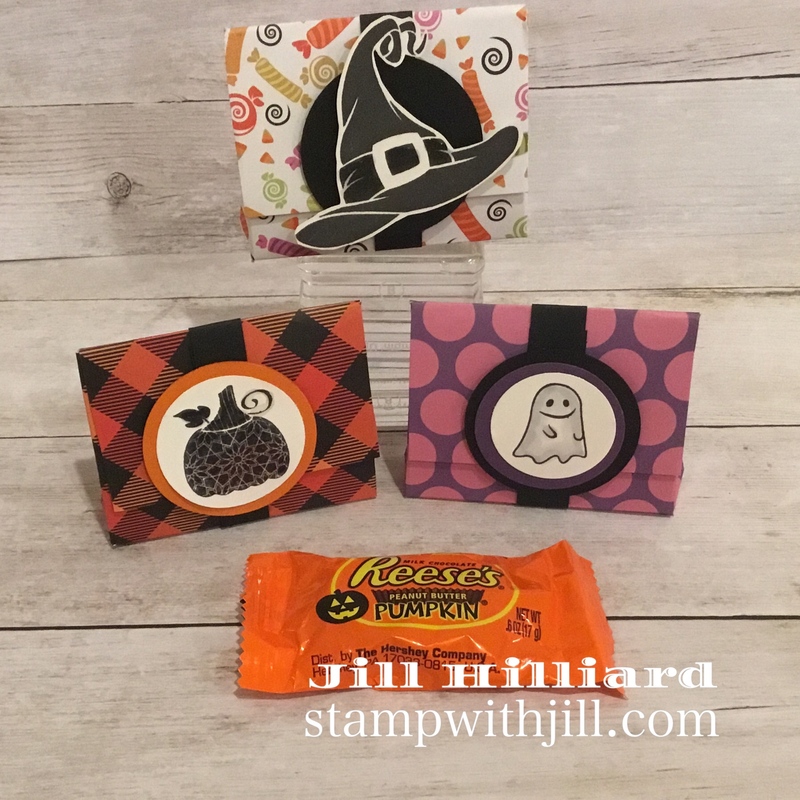 Today Project is a Reese’s Pumpkin Treat Purse. Perfect for Halloween treat giving! Take Five candy also fits nicely in this little purse! 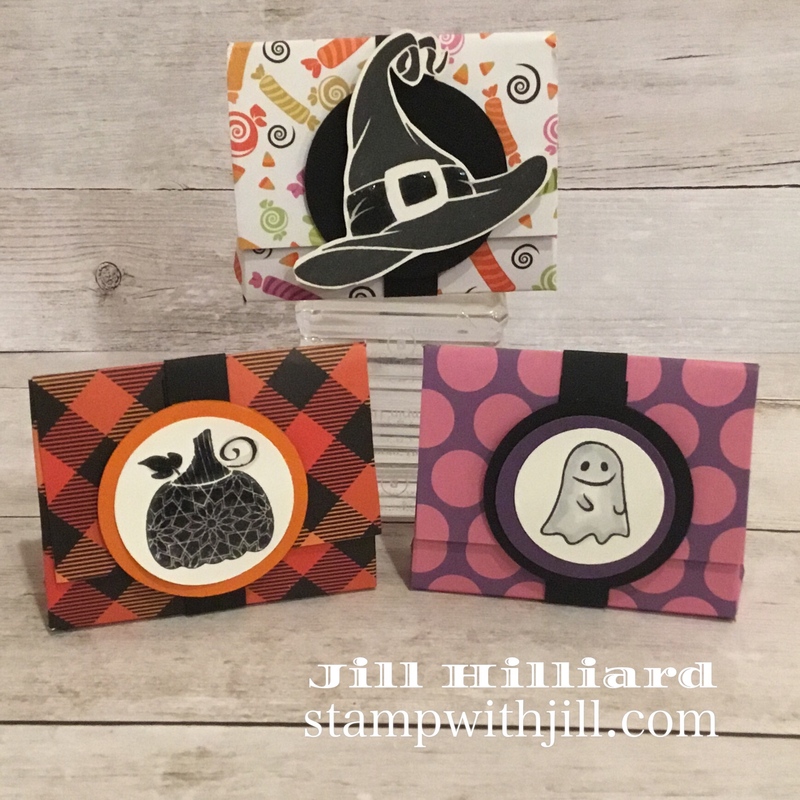 Here is what you will need: Halloween paper and some matching cardstock, Reeses pumpkin candy, a scoring tool, adhesive and some halloween stamps for decorating. 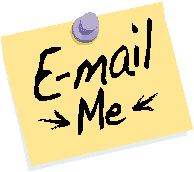 Here are the links to the products in my online store. 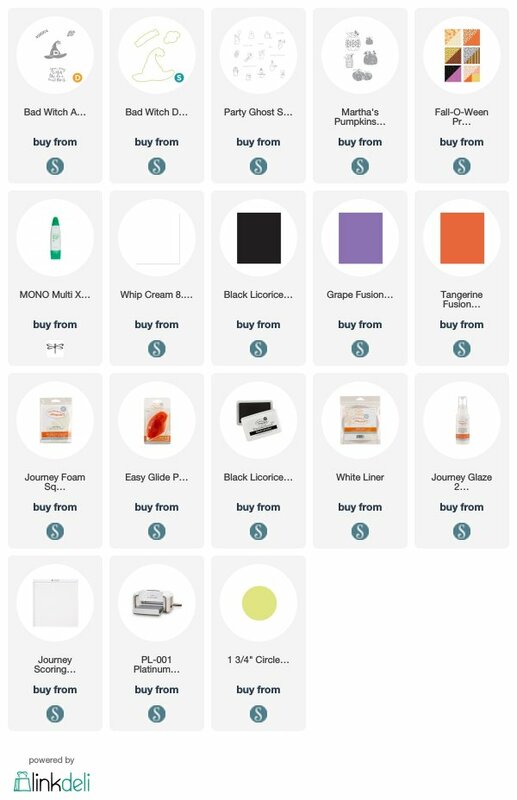 click the image to shop with me.